The masterpieces in the Guggenheim Hermitage Museum, Madame Tussauds Las Vegas and Gondola Rides located in the Grand Canal Shoppes. Property was beautiful and staff was great. 17-Feb-2019 Verified Review, stayed from Wed Feb 13 to Fri Feb 15 2019 at a $118.16 average nightly rate. 15-Jan-2019 Verified Review, stayed from Fri Jan 11 to Sun Jan 13 2019 at a $113.21 average nightly rate. Everyone was so helpful and the room was breath taking. Everything you need is right there in the hotel so we didn't even have to fight the cold! 21-Dec-2018 Verified Review, stayed from Fri Dec 14 to Tue Dec 18 2018 at a $104.71 average nightly rate. This hotel and the experience lives up to the Vegas Luxury Hotel expectation.There is literally something for everyone. 20-Dec-2018 Verified Review, stayed from Sun Dec 16 to Tue Dec 18 2018 at a $103.49 average nightly rate. We love this hotel! The room is so spacious and clean. We'll be staying here again next time we go to vegas. 18-Dec-2018 Verified Review, stayed from Thu Dec 13 to Sun Dec 16 2018 at a $104.71 average nightly rate. The spirit of Venice is alive in The Venetian I Palazzo Las Vegas, complete with frescos, gourmet food, canals, gondolas and strolling performers. The hotel offers spacious, beautifully appointed suites, an impressive upscale shopping center, a wide variety of gourmet restaurants and Italian-inspired eateries, attractions and more.Sheldon Adelson's breathtaking mega-resort combines the latest technology and the venerable art and culture of the European jewel: Venice. The Venetian's take on this world-renowned city and the Italian eleganza is a must-see. Coming to this resort is as close as you'll come to visiting Venice itself. Local Shuttle Info: The hotel does not have a dedicated shuttle but shuttle companies operate 24 hours to and from the airport. The cost is approximately $7 per person per way. 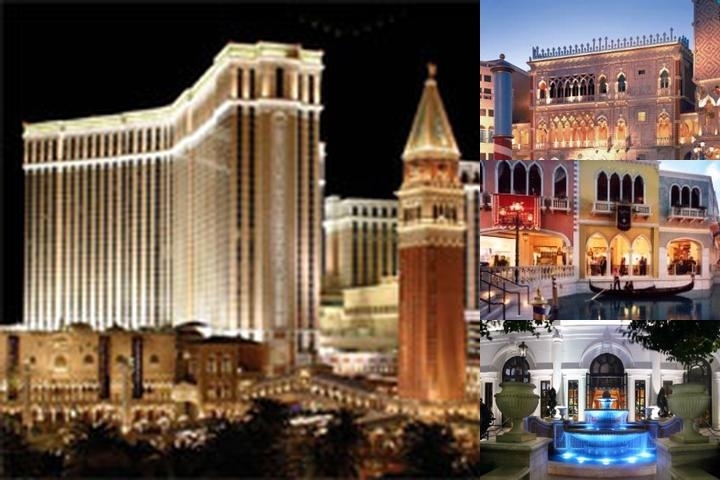 Below are the meeting, banquet, conference and event spaces at The Venetian Las Vegas. Feel free to use the The Venetian Las Vegas meeting space capacities chart below to help in your event planning. Hotel Planner specializes in Las Vegas event planning for sleeping rooms and meeting space for corporate events, weddings, parties, conventions, negotiated rates and trade shows.